I came across Go Mommy Designs on Etsy about a month ago. 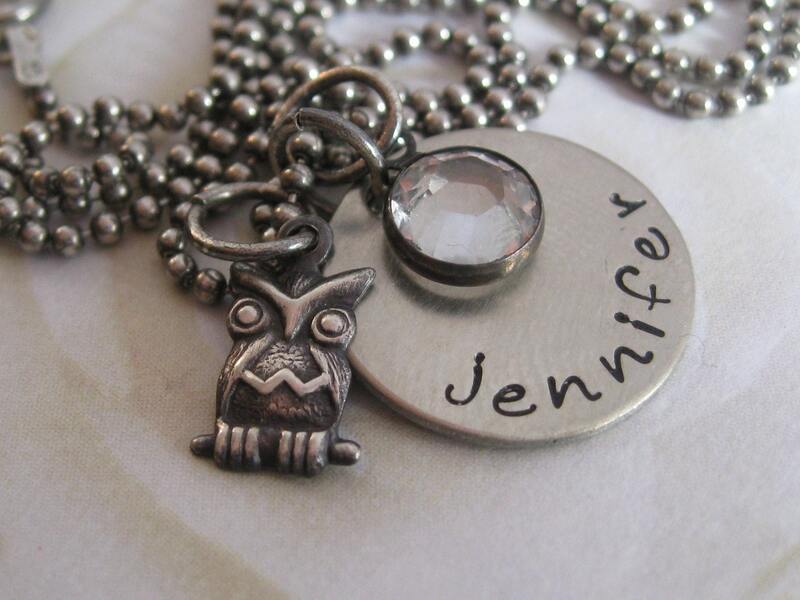 I loved that Jennifer, owner of Go Mommy Designs, didn't only work with sterling silver. The mixed metals really appealed to me. I was given the chance to review for Go Mommy Designs so that I could really sample this mom's work. 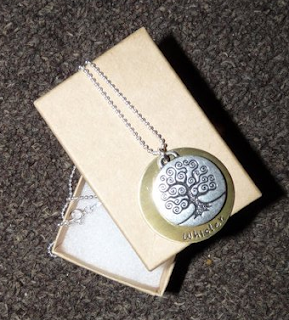 I received the Family Tree necklace. The packaging was beautiful! Ready for gift giving right out of the postal packaging! Overall, I really like the necklace! It is very affordable at only $28. The weight of the necklace is almost perfect, heavy enough to feel but not too heavy to wear. The only thing I was a bit disappointed in is the chain. Although it is a beautiful sterling silver ball chain, it is rather short and almost doesn't fit on my thick neck. I think it is a 15" or 16" chain, but the description of the item on Etsy doesn't include chain length. So, if you order, you may want to request a longer chain if you have a bigger neck or want the charms to hang down lower. If you would like to order one of these for your mother, or if you're dropping hints to your children (or significant other), and you want it by Mother's Day- make sure the order is in by April 22nd so you can get your piece in time! In order to complete the review I received a free product from the shop. I received no monetary compensation for this post and my opinions are entirely my own. You may or may not have the same experience as I did with this product. I have been given the chance to offer one lucky Six in the Nest reader in this gorgeous piece! 1 entry- Check out Go Mommy Designs and leave a comment with the name and link of your favorite item! 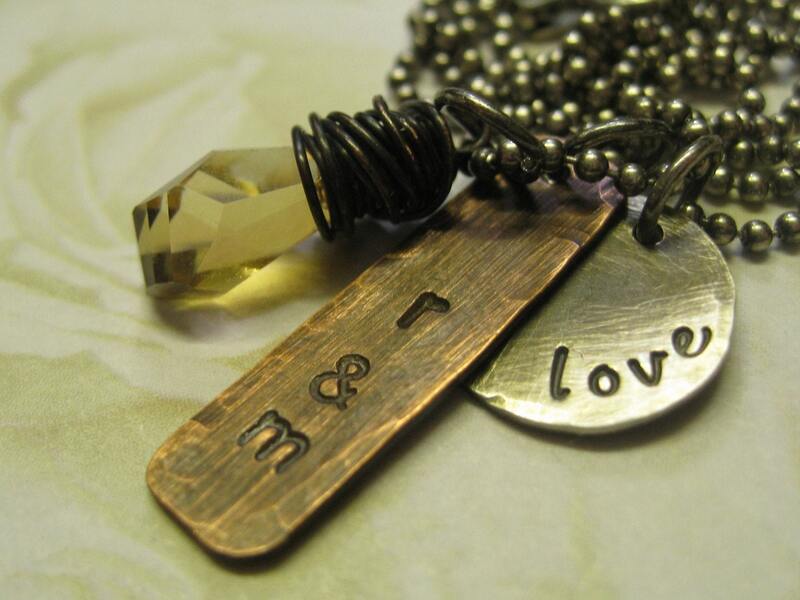 I follow via GFC and I love the Personalized Hand Stamped Initial Necklace. I entered the itti bitti giveaway. I follow Go Mommy Designs on twitter. I follow SITN on twitter. I like SITN on facebook. I voted for SITN on Picket fence blogs. I like the rustic mommy pendant. And I'm pretty sure I'm entered in all your other current giveaways! I like the rustic sterling silver with the swarvoski charms. I liked Planet Wise on Facebook. Our 5th wedding anniversary is comming up and thie necklace would be the perfect celebration with our names and wedding date on it! Like, Like, Like Six in the Nest on Facebook! Following Go Mommy Designs on Twitter! Now Following Six in the Nest on Twitter! I voted for Six in the Nest on Picket Fence Blogs. I follow you on GFC and I love the Square and Pearl necklace! I follow Go Mommy on Twitter! This is so beautiful. It is my favorite. 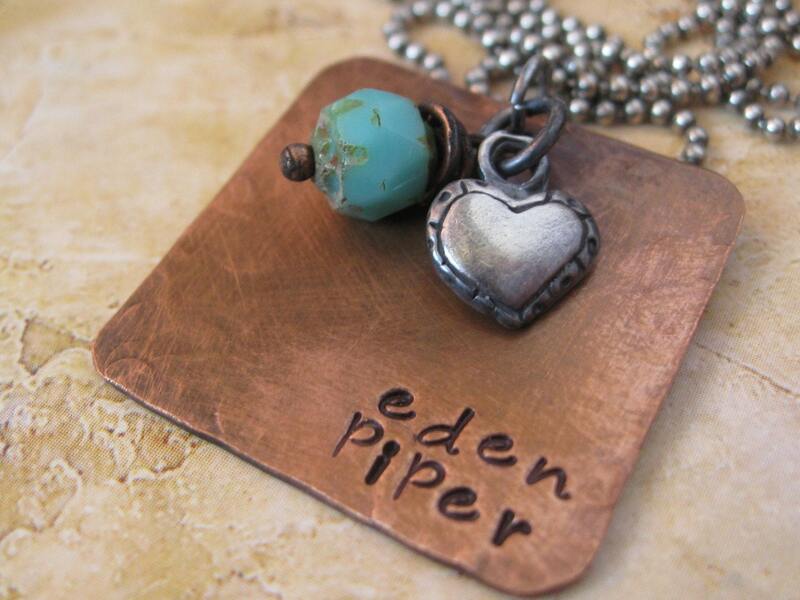 Personalized Hand Stamped Rustic Sterling Silver Stacked Necklace with Birthstone. OOpsss... brucelee88@earthlink.net Sorry I forgot that part. Following Go Mommy on Twitter. Please except my sincere apologies .... I for some reason cannot remember to put my email address on anything tonight. I like SITN on facebook! I follow via GFC! Thanks for the chance to win. I love the personalized birthstone Mommy necklace! Also entered the "of the earth jewelery" giveaway! Just voted on Picket Fence! I entered the of the earth giveaway. 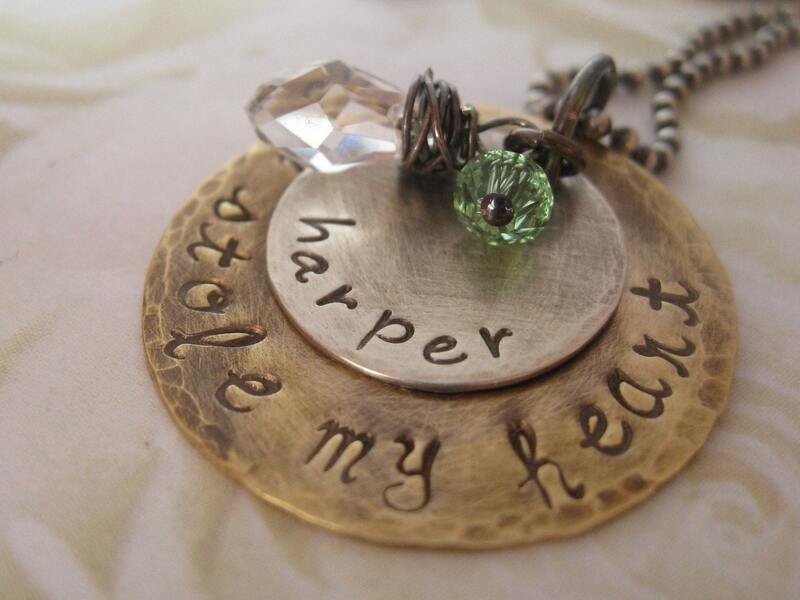 I am following you via GFC and LOVE the Hand Stamped Personalized Birthstone and Baby Feet Necklace!! I liked many of them, but I chose the Hand stamped Family Tree Love One Another Copper and Silver pendant.